An online resource for our Hike it Baby Ambassadors and National Volunteers. Click on the Support tab in the Menu and explore! Are you here to begin Ambassador training? 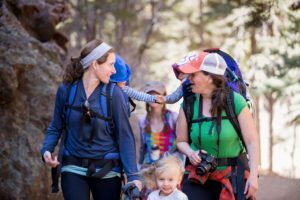 Would you like to become an Ambassador for Hike it Baby? Purchase an Ambassador membership: Ambassador or Ambassador Founding Member. Please note: HiB is only accepting new branches in the United States, US Territories and US Military Bases. Co-Ambassadors for existing international branches will continue to be accepted. Complete prerequisites: Become an Ambassador. Are you an Ambassador, but unable to access any of the support pages? If your account is listed only as “Paid Basic” or “Pro” please reach out to techsupport@hikeitbaby.com and they will get your account updated. If you have any other questions, please don’t hesitate to reach out to the training team: training@hikeitbaby.com.